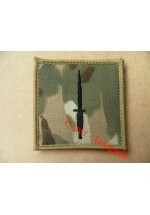 British Army / Royal Marines Velcro rank patch. Lance Corporal. 70mm x 70mm square. All ranks; L..
1072 Ubacs/MTP Velcro Rank Patch. Corporal. British Army / Royal Marine. Velcro backed rank patch. Corporal. 70mm x 70mm square. 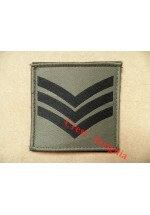 All ranks; ..
1073 Ubacs/MTP Velcro Rank Patch. Sergeant. 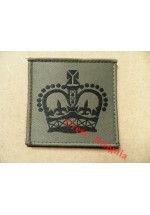 British Army / Royal Marines velcro backed rank patch. Sergeant. 70mm x 70mm square. 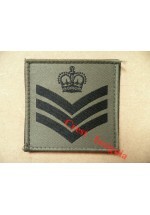 All ranks; ..
British Army / Royal Marines velcro baked rank patch. Colour/Staff Sergeant. 70mm x 70mm square. 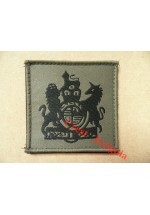 ..
British Army / Royal Marines velcro backed rank patch. CSM / WOII. 70mm x 70mm square. All ranks..
1076 Ubacs/MTP Velcro Rank Patch. CQMS / QMSI. 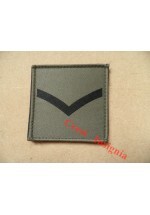 British Army / Royal Marines velcro backed rank patch. CQMS / QMSI. 70mm x 70mm square. ..
1077 Ubacs/MTP Velcro Rank Patch. RSM / WO1. 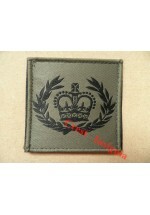 British Army / Royal Marines velcro backed rank patch. RSM / WO1. 70mm x 70mm square. All ranks;..
1091 FAD [No2 dress] Rank Insignia.Lance/Corporal. British Army / Royal Marines FAD [future army dress] rank insignia. Lance/ Corporal x 1 pair . 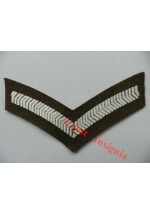 ..
1092 FAD [No 2 dress] Rank Insignia. Corporal. British Amy FAD [future army dress] rank insignia. Corporal. x 1 pair  ..
1093 FAD [No2 dress] Rank Insignia. Sergeant. British Army, FAD [future army dress] Rank Insignia. Sergeant. x 1 pair  ..
1094 FAD [No2 dress] Rank Insignia. Staff/Colour Sergeant. 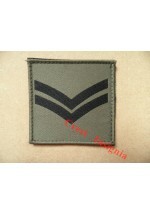 British Army FAD [future army dress] rank insignia. Staff/Colour Sergeant. x 1 pa..
1103c Royal Marine Dagger Insignia. Colour. Royal Marines AACC [all arms commando course] Dagger qualification badge. Colour. 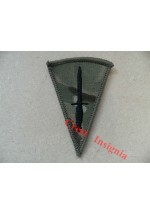 MTP version als..
Royal Marine AACC [all arms commando course] Dagger qualification insignia. MTP. Velcro backed Co..
1104mtp. 3 Commando Brigade Formation patch, MTP. 3 Commando Brigade formation badge. Velcro backed, on MTP material. Also available in black/olive..
1104s. 3 Commando Brigade formation badge. Black/Olive. 3 Commando Brigade formation patch. Black/Olive. Also available in MTP [1104mtp] ..
1105s. Royal Marines, amphibious Assault team badge. Subdued. Royal Marines, Amphibious assault team TRF [tactical recognition flash]. Black / Oliv..
1106c. R.M. Commando, shoulder titles, Colour [pair]. 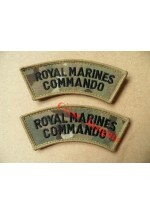 Royal Marines Commando, shoulder titles, colour [red/black] x 1 pair . Also available in blac..
1106mtp. R.M. Commando, velcro shoulder titles, Black/MTP, pair. Royal Marine Commando, shoulder titles. Black on MTP, velcro backed. x 1 pair . Also availabl..
1113s. Fleet Protection Group, Royal Marines. Black/Olive. Royal Marines, fleet protection group [RMFPG] team badge. black/olive. ..
1114s. 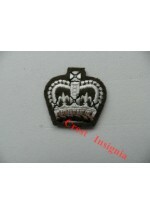 R. Marines, Kings Cadet Award badge, black/olive. Royal Marines, Kings Cadet Award. black/olive. Awarded to the most outstanding recruit in each inta..